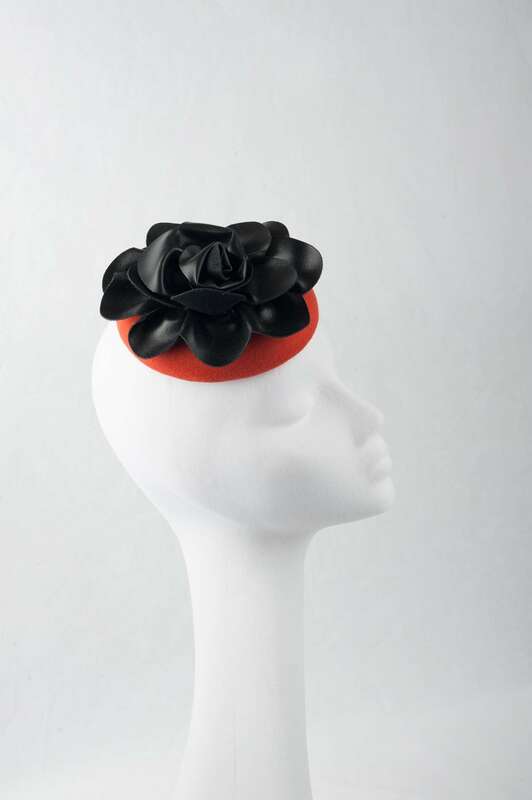 Petite orange button fascinator hat. 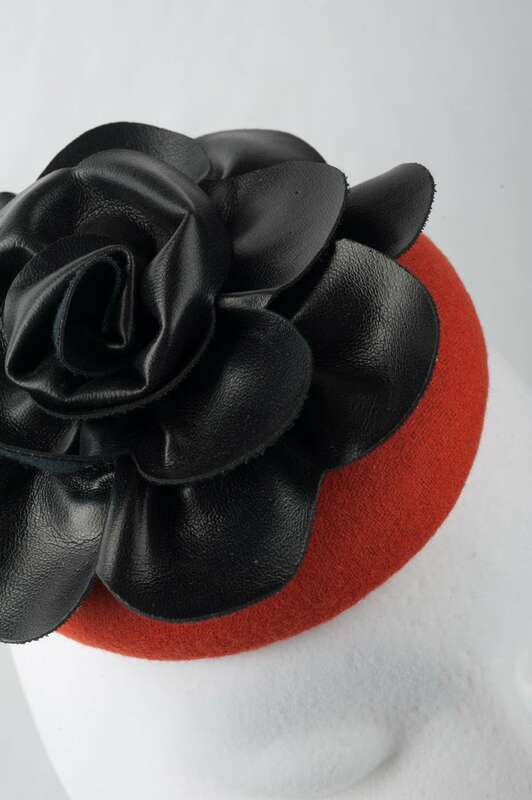 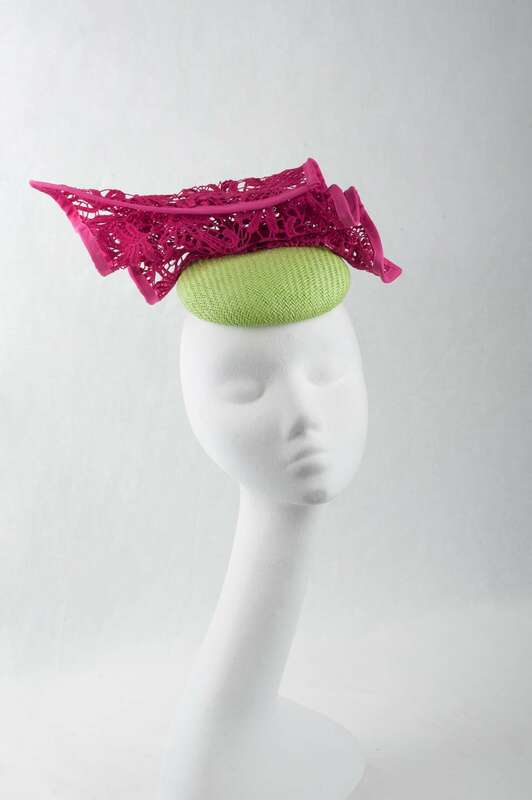 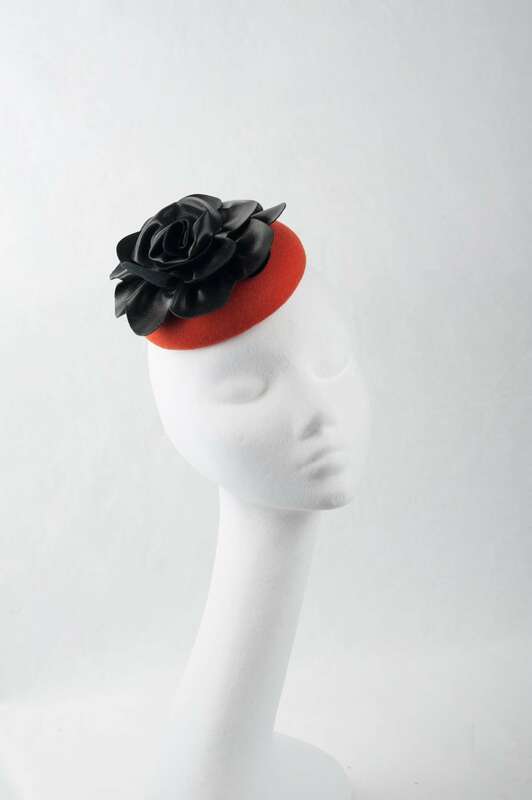 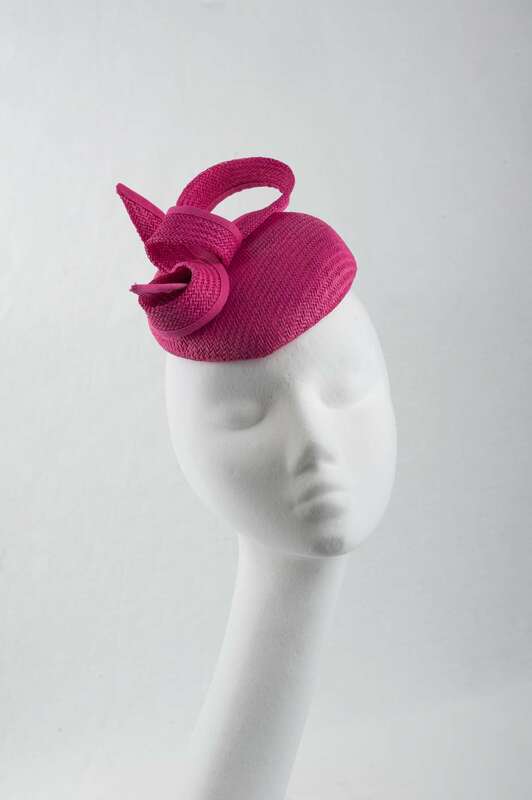 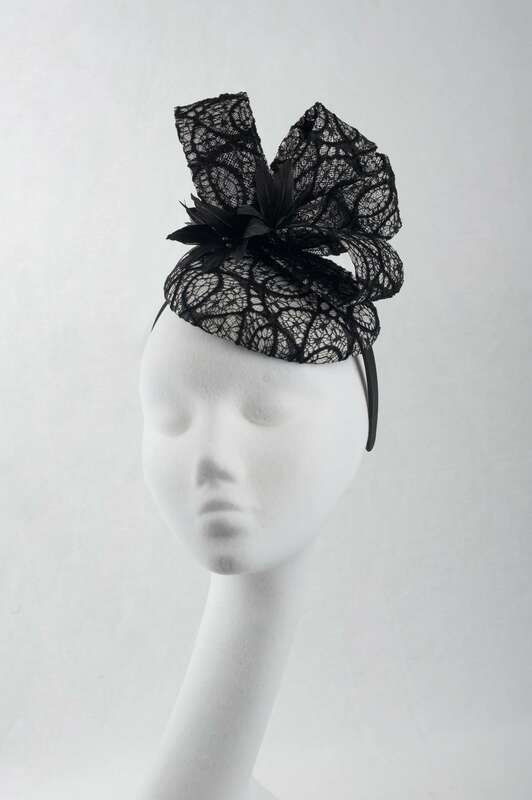 This elegant fascinator features round wool fabric button base with large black leather flower and elastic band. 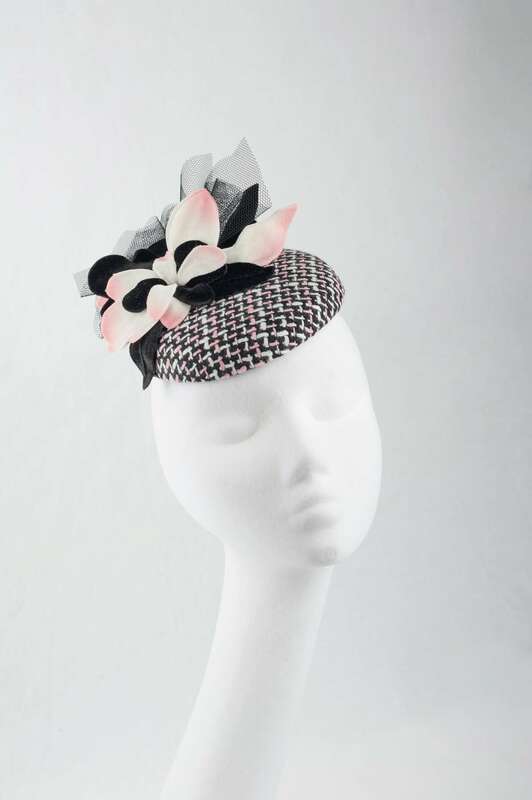 Simple, yet stylish, this is a great choice for your next racing outfit.